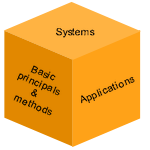 The task of the Computer Science Department of the University of Dortmund is to develop formal and constructive foundations for the design, implementation, and application of large and complex information systems, and to incorporate these foundations in the education. The Dortmund Computer Science Department was one of the first computer science institutions in a German university. Today, it is one of the largest computer science departments in Germany and it offers a wide range of computer science topics that very few other institutions in Germany can provide. The Department of Computer Science in Dortmund contributes to the international research in a variety of fields. Its research encompasses the entire range from foundational questions to applied problems. Research results are published in international journals and conferences or, in the case of industrial co-operation, become part of innovative products. The Department of Computer Science introduces its students to state-of-the-art knowledge in the field, while giving special weight to methods for the planning and application of information processing tools. The department enables its students to actively deal with the extreme speed of change in computer science technology. Students can choose between three study courses: Computer Science, Applied Computer Science, and Computer Science for Education. 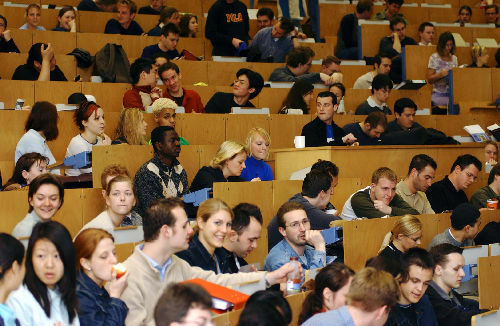 Computer Science in Dortmund has a long standing tradition in education, research and business. Apart from the main university, Dortmund also has a University of Applied Science with a Computer Science department, at which several education programs in Computer Science are offered. Furthermore, the so-called IT-Centre offers a short practice-oriented education. Besides the education and research driven activities at the University of Dortmund, two independent institutes have been founded that dedicate their work to applied research and technology transfer to the industry: the Informatik Centrum Dortmund and the Fraunhofer-Institute for Software- and System Technology (ISST). The whole Dortmund region and, in particular, the Technology Park, located next to the University campus, houses a large number of IT companies. These companies offer attractive job perspectives for students and graduates from computer science. Computer Science and IT-Technology is one of the main pillars of the Dortmund Project, an initiative of the City of Dortmund to strengthen the economic and structural development of Dortmund and the neighbouring communities.